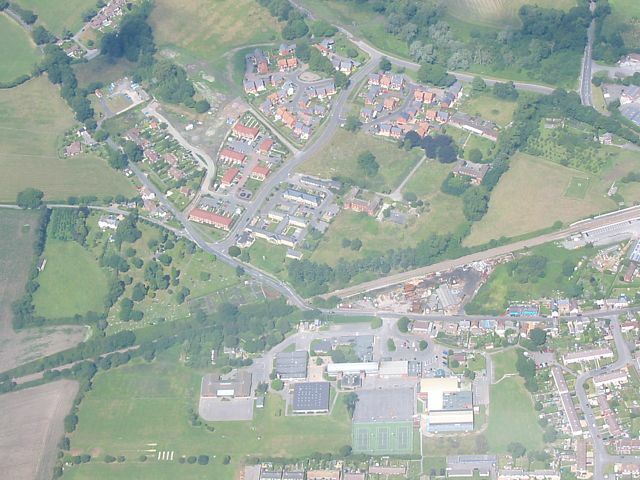 Click here to go to the 2002 and earlier images. Nothing special today. Warm and blue. So I got some more time in a Ventus C, a glider that I have only just recently converted to. Took this picture of it before I launched. 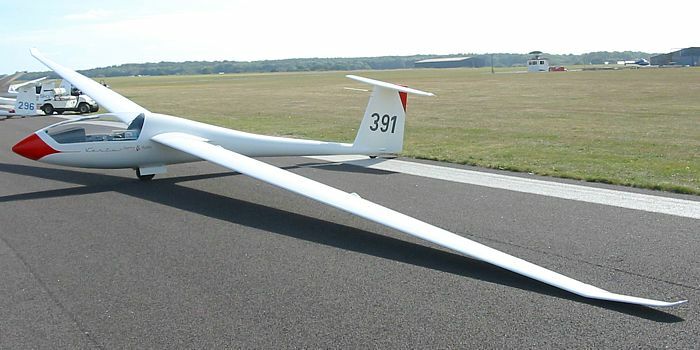 I rather like this glider - especially the flaps. This is my first flapped glider, and has a better performance even than the Discus. 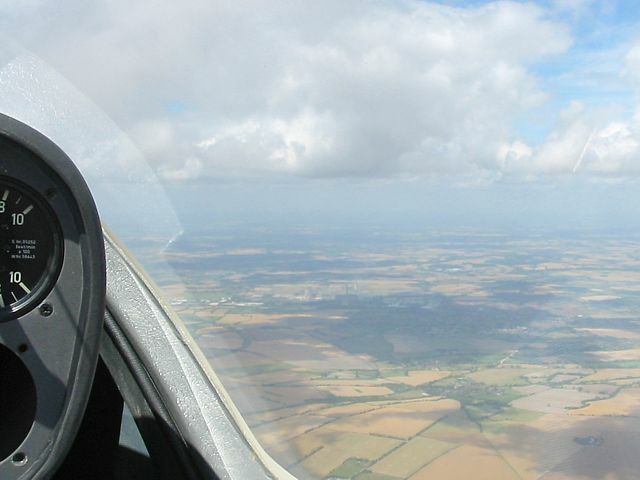 My first 300Km flight. 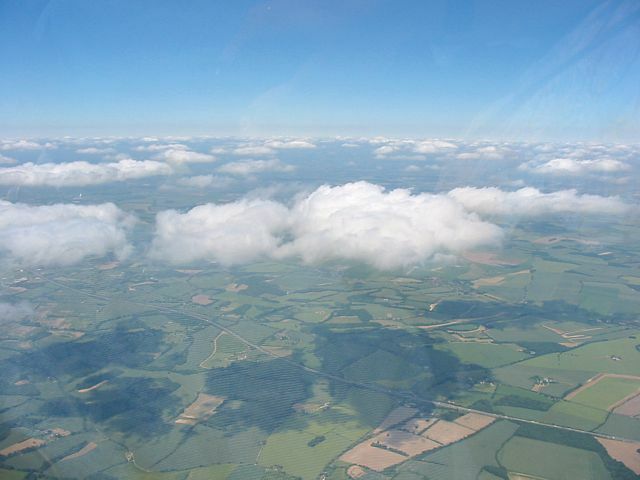 I flew Lasham - Turweston - Bembridge - Lasham (303Km). I took these pictures en route. Note: the visibility was again fantastic after a couple of days of bad weather followed by air from the arctic. 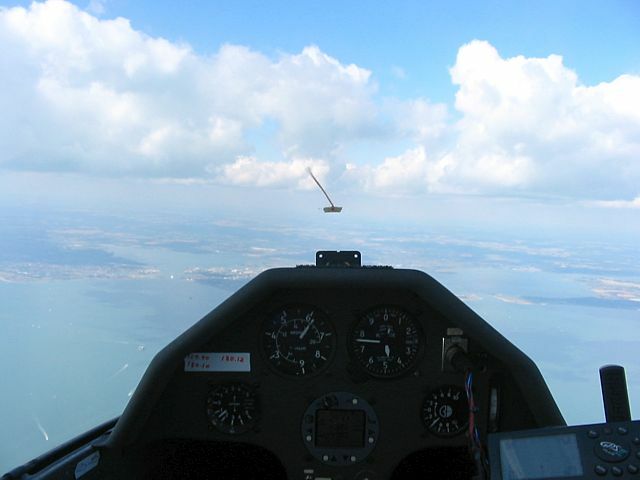 Plus it was remarkable being able to get over the sea to the Isle of Wight and back, even soaring over the sea! 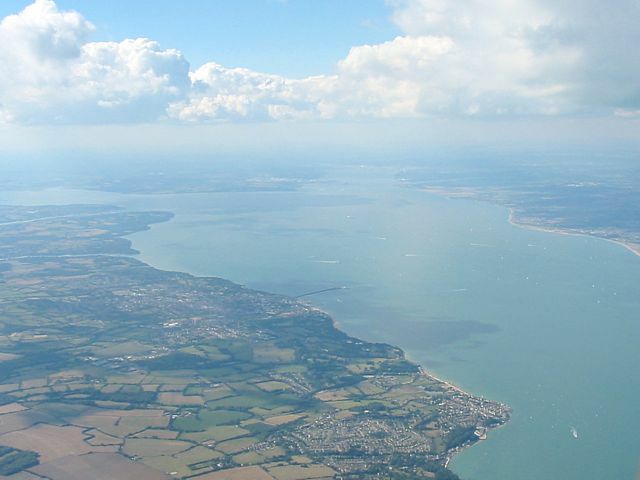 Silverstone race track as seen from near Turweston (to the West-South-West) Portsmouth and the Isle of Wight from the North. 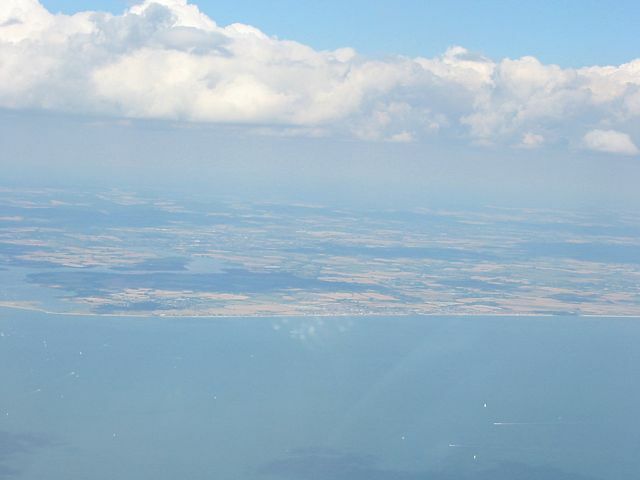 English channel from Portsmouth at 4900 feet above the sea. 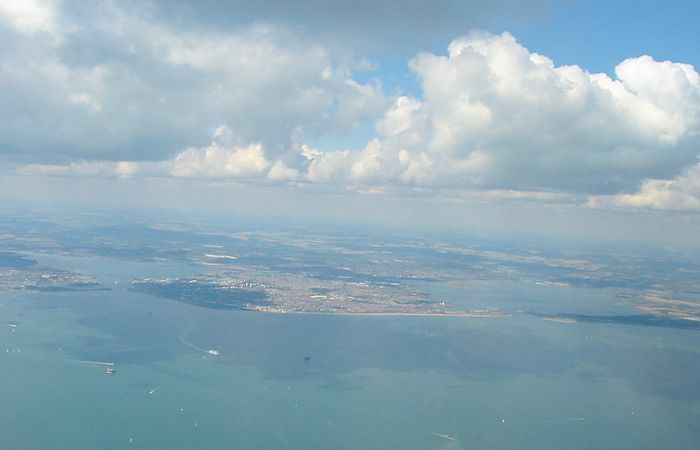 The Solent as seen from Portsmouth. Entrance to bay between Portsmouth and Hayling Island. 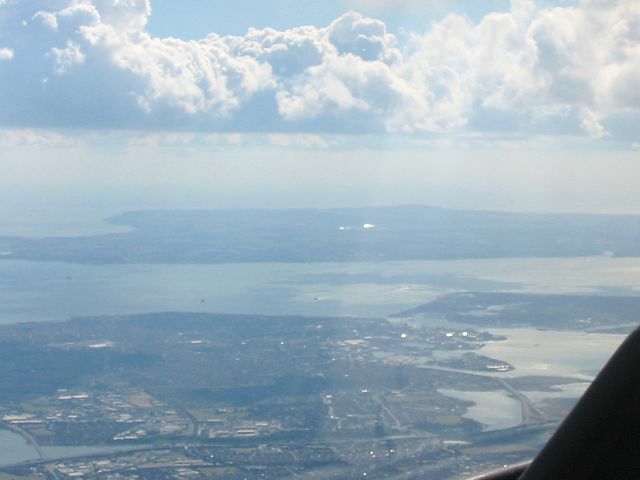 View to West along Solent as I left Portsmouth at 5600 feet above the sea. 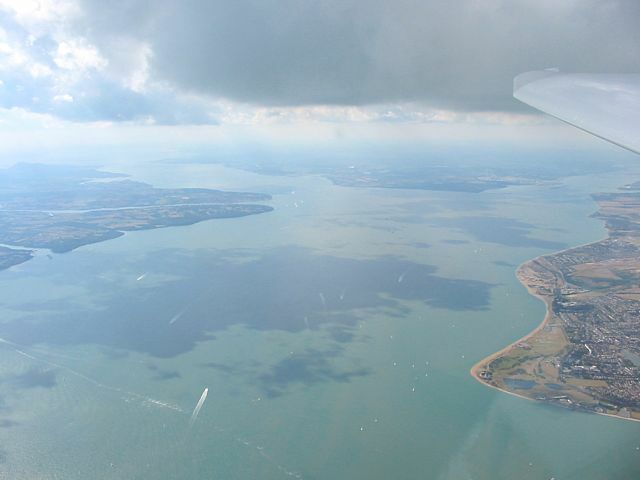 Isle of Wight as seen from over the Solent. 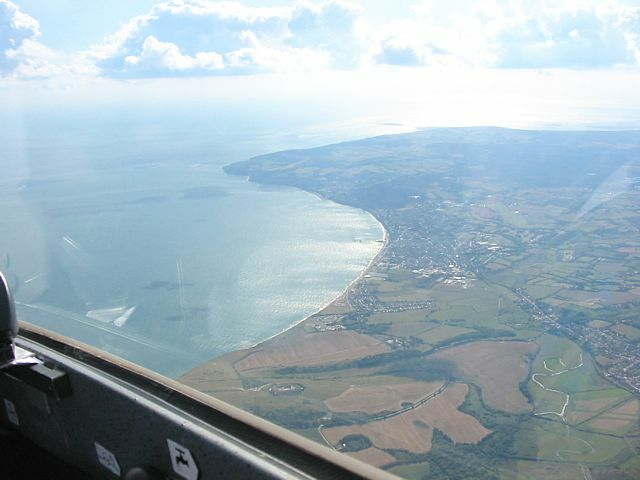 Looking South from Bembridge. 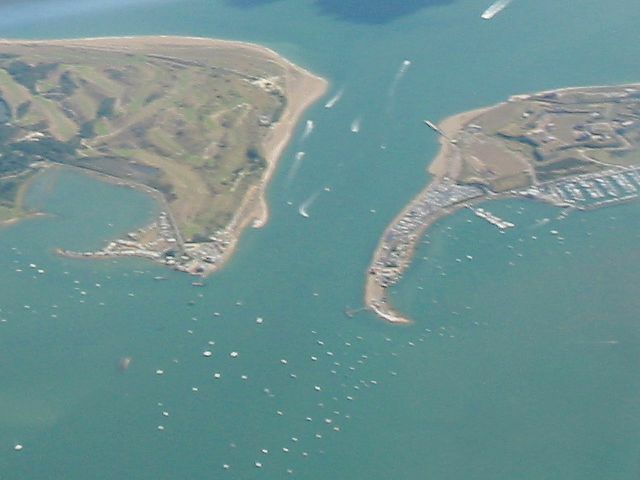 Looking back to Portsmouth from Bembridge. 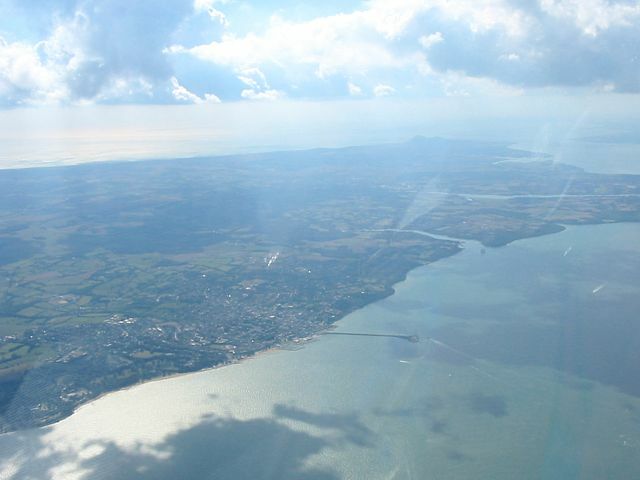 Bembridge is the runway on the far right edge, seen from the North West. 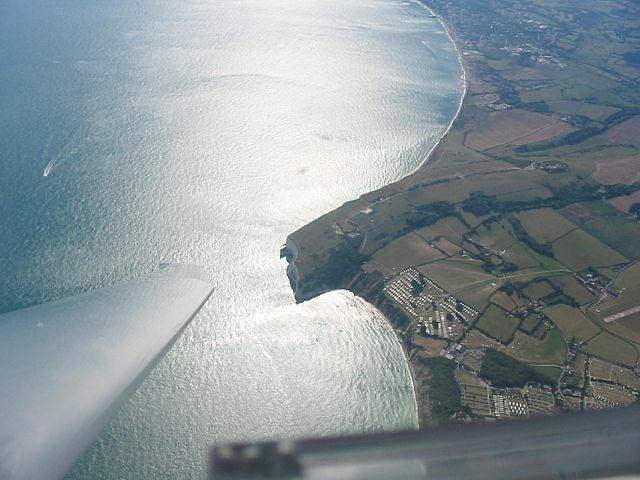 After a climb to 5400 feet above the sea just off the coast near Bembridge, time to head back to the mainland. The cloud to the right was the one that produced 2.5Kts of lift over the sea. One last look along the Solent as I leave the Isle of Wight. 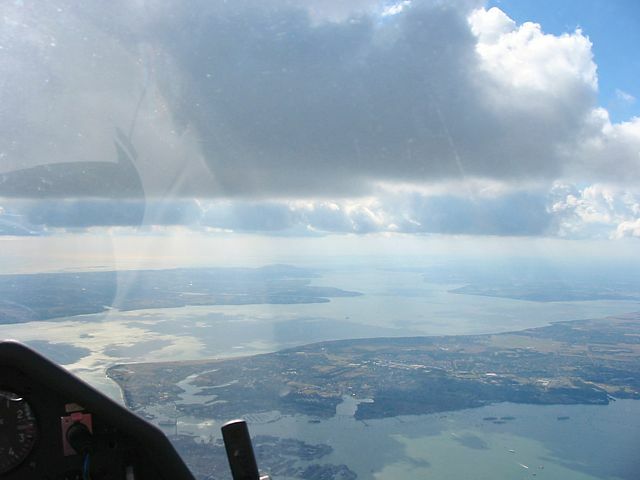 Looking to the East of Portsmouth and Hayling Island as I cross the sea back to the mainland. 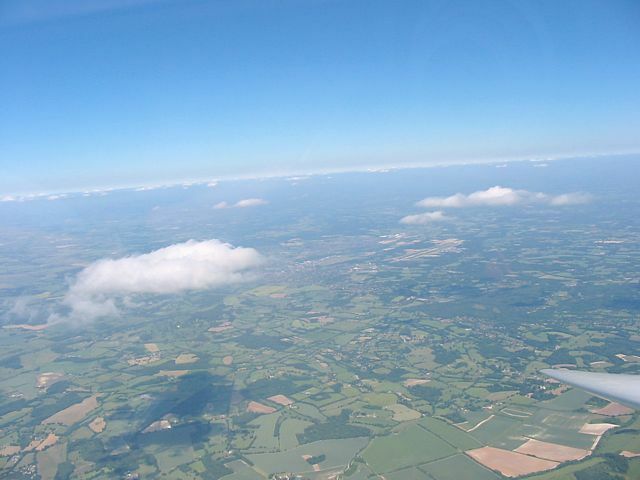 I flew Lasham - Pewsley - Didcot - Andover - Lasham (182Km). I took these pictures en route. Note: the visibility was fantastic today, especially for July. 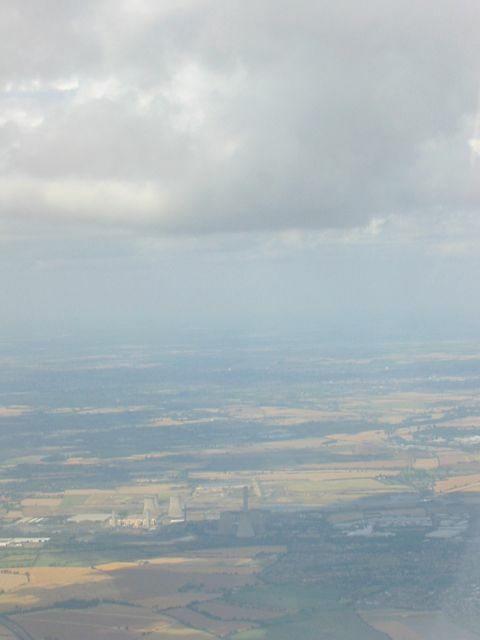 I could clearly seen Didcot from Pewsley, about 48Km away! 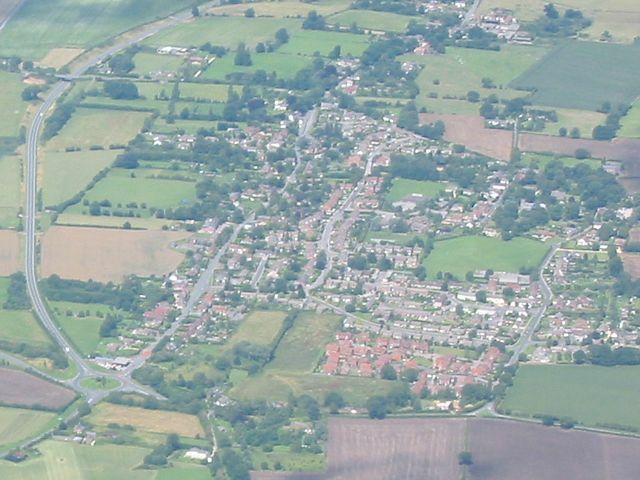 Burbridge seen from the South. I passed it on the way to Pewsley. Turning point is the roundabout to the bottom left. Pewsley turning piont (the bridge) seen from the South. Booming conditions on way to Didcot. 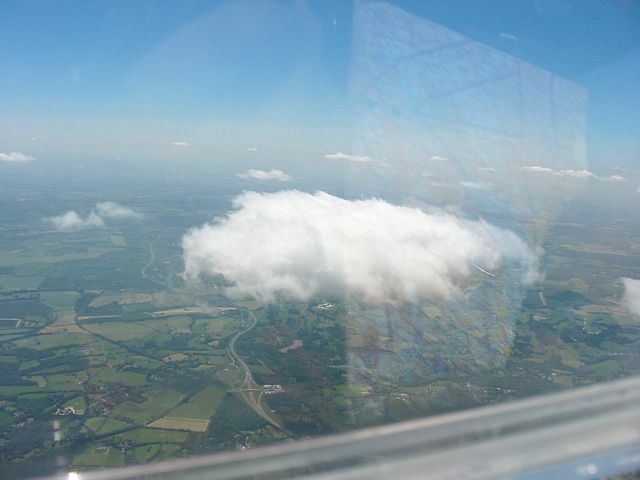 5500'ASL cloudbase, 6Kt thermals. (I was in 6Kt sink near a thermal when I took this!) 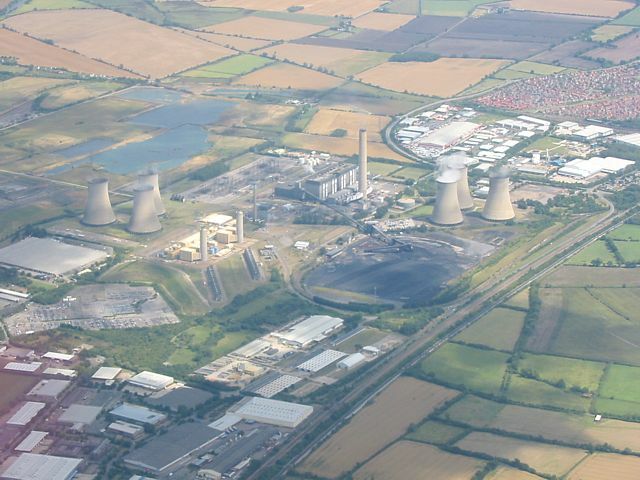 Didcot (my favourite turning point) seen from the North West. 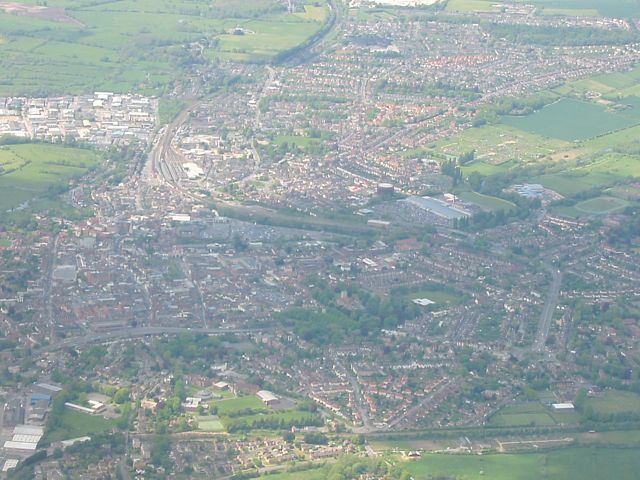 Andover from the South West. Turning point was beyond bottom left corner of the picture. 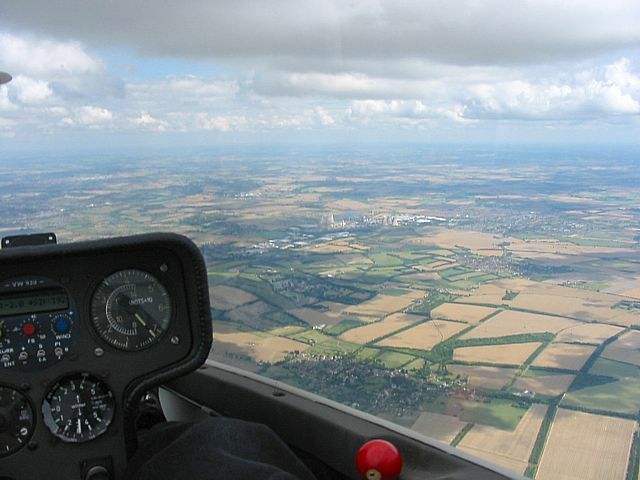 I flew most of the task Lasham - Burbridge - Chievely - Didcot - Lasham before landing at Brimpton airstrip on my way home. I took these pictures en route. 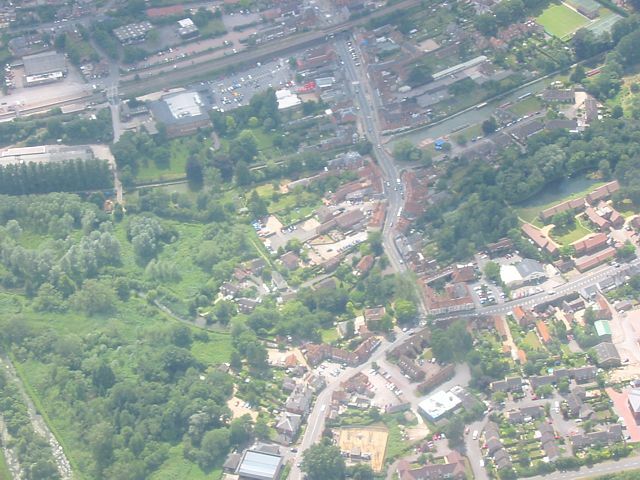 Hungerford. 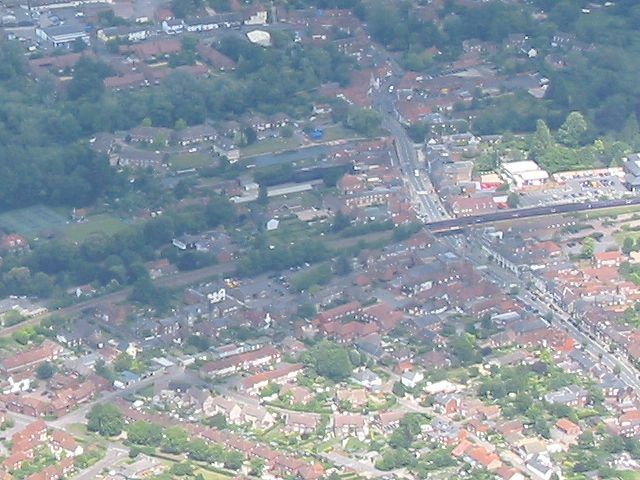 The Railway bridge is the turning point, seen from the Southwest and North. Approaching Didcot from the South. Good lift above the power station. I had a extraordinary flight today. Wave is not common in the lowlands of Southern England. But today that is exactly what I found. 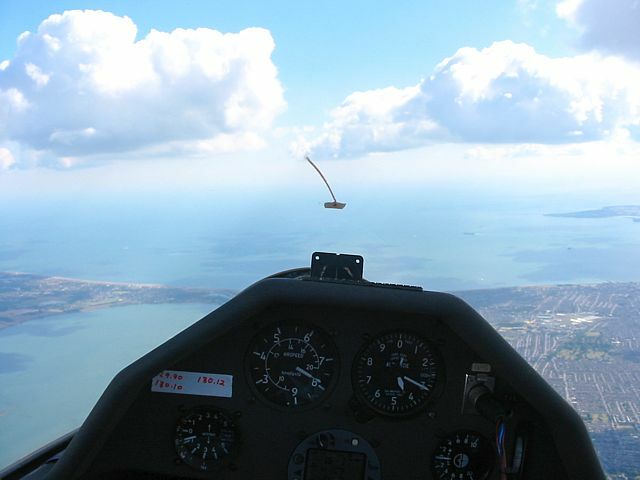 Over Hungerford I topped out at 8000 feet above sea level (ASL) after climbing at a peak rate of about 4kts, which is way higher than I have ever been in a glider before. 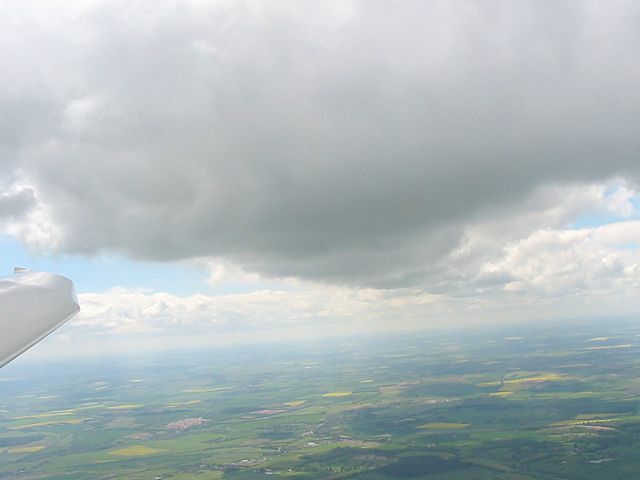 I took these pictures once I was above the clouds, and still headed upwards. 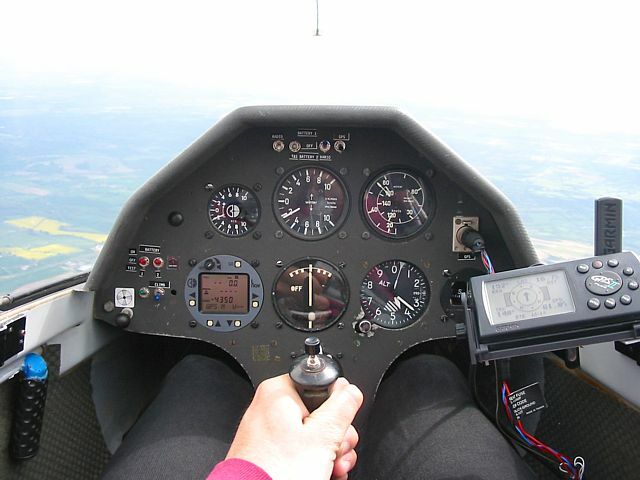 Any pictures of my altimeter or L-Nav show it in feet above Lasham. Add 600 feet for height above sea level. First pictures from above the clouds in wave at 6300-6400'ASL (~FL60). Looking back towards home (SE) - going blue. 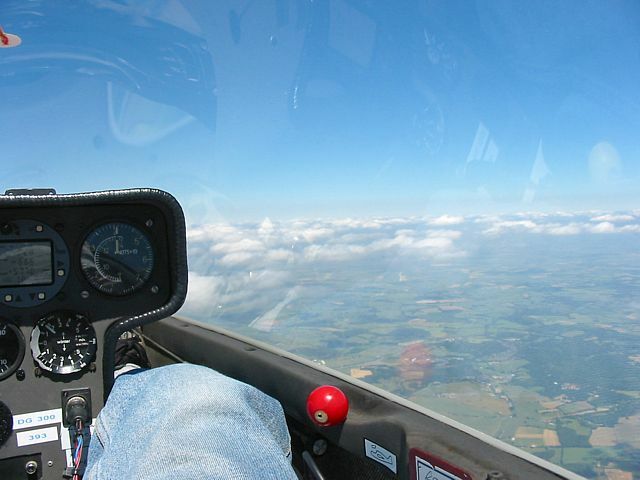 Through the reflection of my map a glider can be seen soaring under the cloud. To the north it looks much nicer. 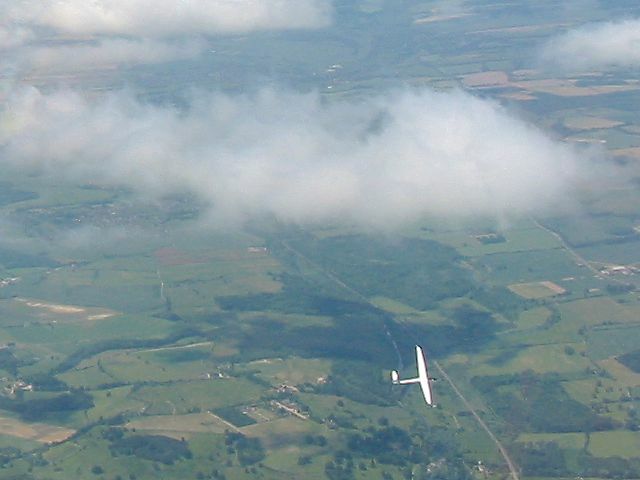 Another glider soaring under one of the clouds. 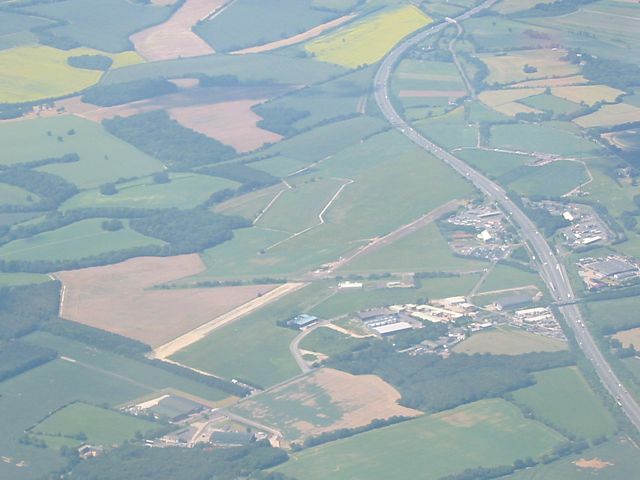 Looking along the M4 towards Membury (to the left). 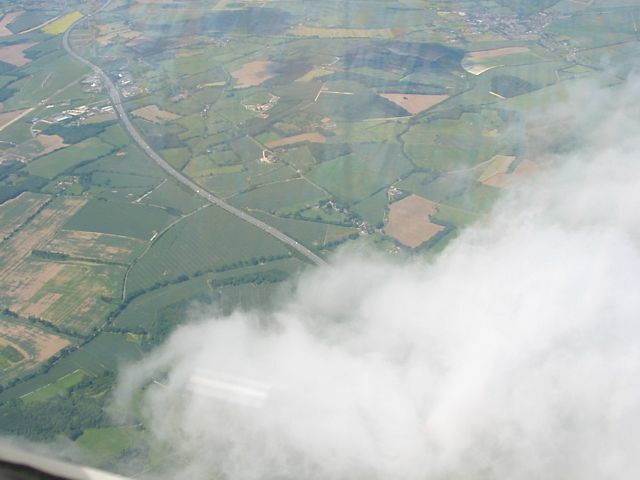 Having jumped across to another wave bar here is Membury and the M4 from just above the cloud tops (~5000'ASL), plus a closer view, both from the East. 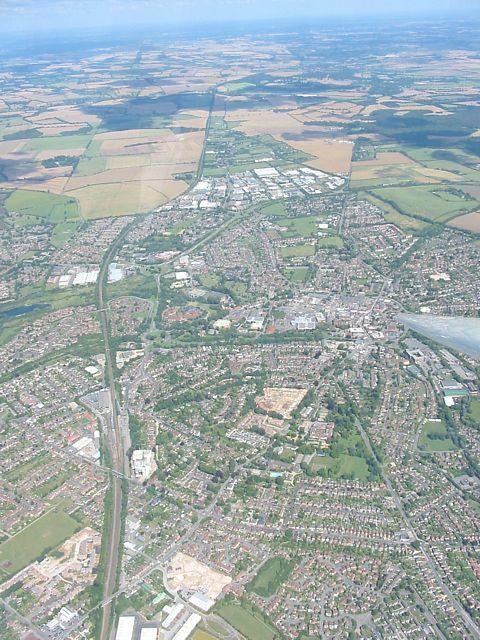 Newbury and Greenham Common to the North East as seen from over Rivar Hill at approx 7500'ASL at 3pm. First cross country flight of the year. 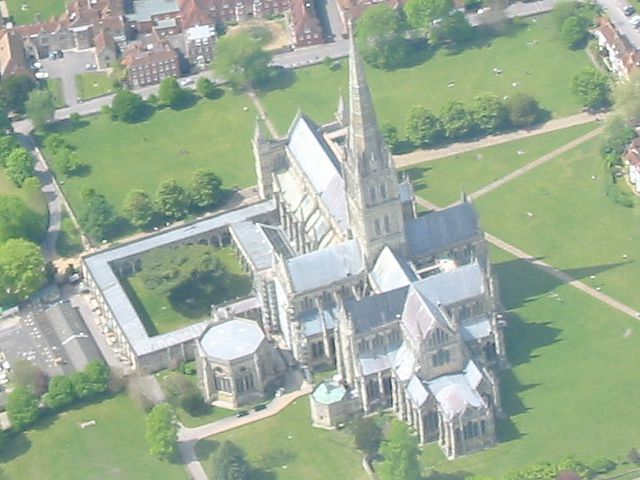 I did what I've been wanting to do again ever since I did it in a compass flight with an instructor several years ago - fly over Salisbury Cathedral. I then doubled back to Chilbolton before heading home via Hungerford. 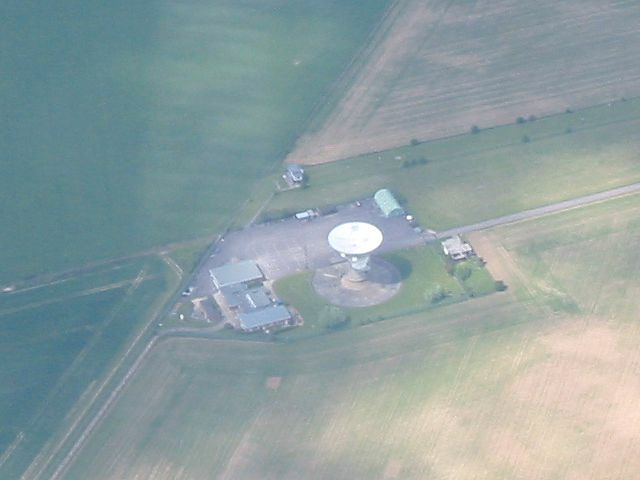 Chilbolton radio telescope. 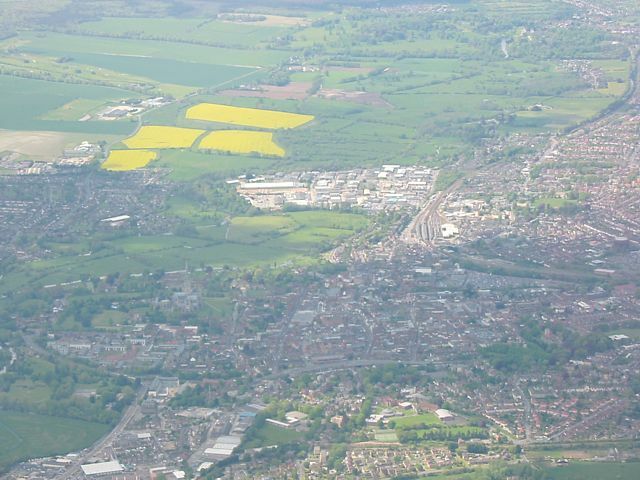 Pictures of Salisbury. Cathedral is to the South West (left side of South picture). Closer look at Salisbury Cathedral. Cloud street looking west as I crossed towards Hungerford. 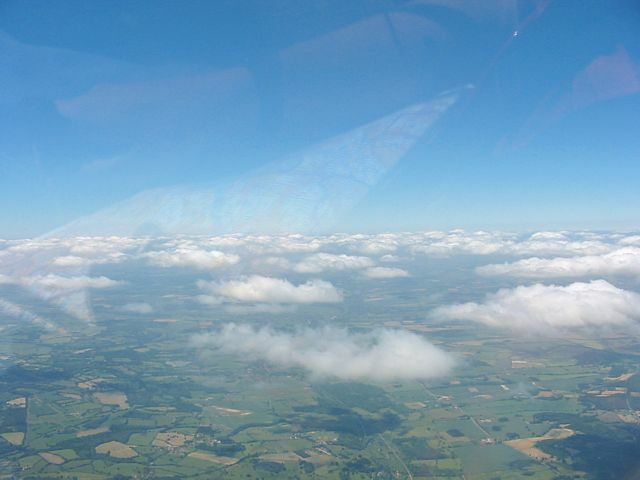 Homebound after a long scrape to cloudbase near Hungerford.